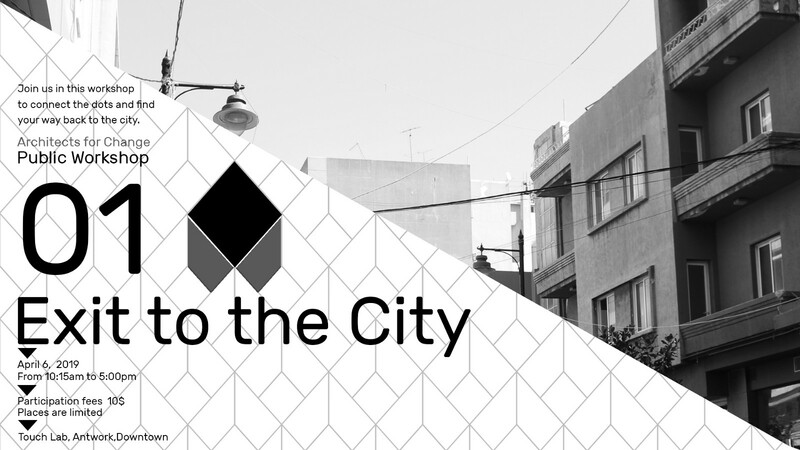 Whether you are an architect, interior architect, designer, or urban enthusiast, we invite you to join us in this challenging and engaging indoor game to explore the meaning of a city. // The concept is simple. In order to exit back to the city, you will have to undergo a series of mind triggering activities, circulate between stations and put your wit to test within limited time intervals. A trail of an untold and unfinished narrative has been detected in Beirut. Connections are missing, links are severed, information is misunderstood, and the city is beginning to disappear. What remains are five places that hold the answers, do you dare take the challenge? Can you find out what happened and will you be able to rewire the events to complete the narrative? //Register and become part of a group of allies to collectively search for clues, analyze and story tell in order to exit to the city. Are you ready to be confined? You will receive a confirmation email by April 4, 2019.